Ground sweet Italian sausage, Mozzarella and pepperoncini stuffed in a grilled flour tortilla. Topped with Romano cheese and served with marinara for dipping. Savory meatballs tossed in a French Onion cream sauce. Served with garlic bread for dipping. Tully's Buffalo Tenders on top of fresh, hot fries smothered with homemade cheese sauce, diced tomatoes, scallions & topped with melted Jack-Cheddar cheese. Filled with corned beef, sauerkraut, and Jack-Cheddar cheese. Lightly fried and served with fries and 1000 Island dressing. Our homemade spicy dip topped with melted Jack-Cheddar cheese, Bleu Cheese, tomatoes, scallions & sour cream. Served with tortilla chips. Lightly battered and served with marinara sauce. Traditional hummus topped with pesto sauce served with Kalamata olives, chick peas, roasted red peppers and crisp, grilled flat bread. Creamy Romano cheese, spinach and artichokes. Topped with tomatoes, scallions, Jack-Cheddar cheese. Served bubbly hot with tortilla chips and salsa. The Best Tenders on Earth! 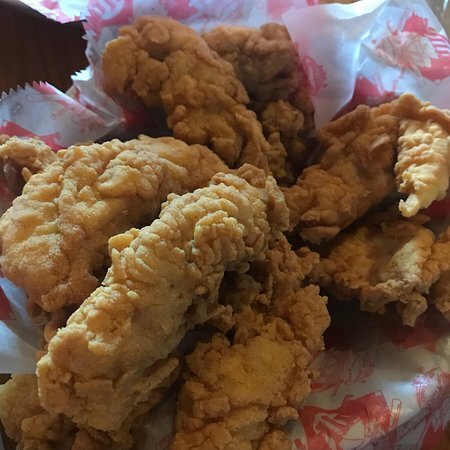 Hand battered chicken tenders. 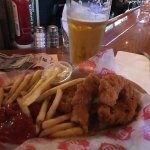 Tully's Tenders® dipped in Buffalo wing sauce. Served with fries and creamy Bleu Cheese. Tully's Tenders® tossed in a sweet 'n spicy Asian sauce and sprinkled with fresh scallions. Served with fries. Loaded with chunks of Idaho potatoes, celery, bacon bits and JackCheddar cheese. Thick and hearty. Topped with melted Cheddar cheese. 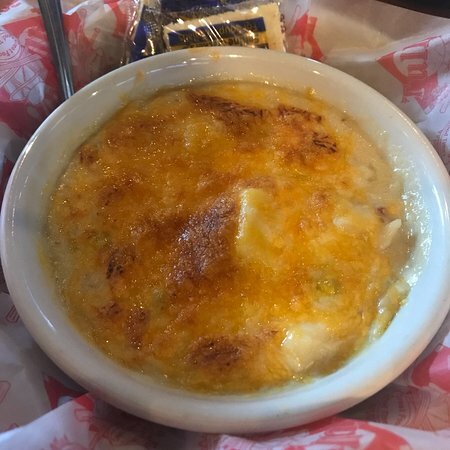 Creamy and loaded with chopped clams, shrimp, fish, potatoes and corn. Served with garlic bread and choice of dressing: Tully's Honey Mustard; Tully's Ranch; Fat-free Italian; Dijon Balsamic Vinaigrette; Red Wine Vinaigrette; Asian Vinaigrette; Thousand Island; Creamy Bleu Cheese. Add crumbly Bleu Cheese $0.75. Crisp romaine tossed with Caesar dressing. Topped with grilled chicken. Romaine tossed with red and white cabbage, tomatoes, green peppers, broccoli, cucumbers and spicy Asian vinaigrette. Topped with Tully's Asian Tenders, scallions and wonton strips. Salad greens, fresh vegetables, black olives, Jack & Cheddar cheese topped with Tully's Tenders. Romaine and iceberg lettuce tossed with homemade ranch, black beans, corn, Jack & Cheddar cheese. Topped with scallions, cilantro, diced tomatoes, tortilla chips and BBQ grilled chicken. Mixed greens tossed with our Balsamic vinaigrette, red onions, chick peas, Kalamata olives, cucumbers, roasted red peppers and sliced tomatoes. Topped with herb grilled chicken and Feta cheese. Romaine tossed with Dijon Balsamic vinaigrette dressing. Topped with roasted peppers, olives, tomato bruschetta, Romano cheese, grilled chicken and scallions. 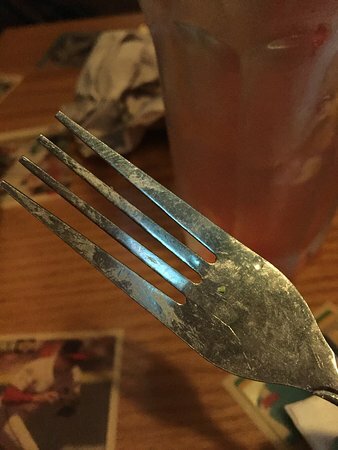 Served with a pickle spear. Add fries, loaded potato salad or fat free pasta salad $1.99. Add a side salad $1.39. Crisp bacon, lettuce, tomato and mayo. Served on country white bread. Thinly sliced Ribeye steak grilled with sautéed onions, melted Swiss and served on white country bread. Grilled with warm turkey, bacon slices, tomatoes, roasted peppers, melted Mozzarella and pesto mayo. Served on Country White Bread. Grilled with melted Cheddar cheese and sliced tomatoes. Warm corned beef, Thousand Island dressing, sauerkraut and melted Swiss on rye. Cheddar, yellow American and white American cheese. Served on country white bread. Add sautéed onions & mushrooms $1.29. Substitute a side salad for coleslaw $1.09. 6oz Tender USDA Choice Flat Iron Steak and Tully's Tenders served together with Tully's Honey Mustard and choice of potato. 10oz Fresh USDA Choice center cut Sirloin, served with choice of potato and coleslaw. Grilled tender Ribeye tips, topped with gravy and served over our country mashed potatoes with a side of coleslaw. Mashed potatoes available after 4:00pm. Fresh, hand-cut USDA Choice Flat Iron steak served with a choice of potato, roasted vegetables and coleslaw. A fresh, hand-cut Ribeye steak. Served with choice of potato and coleslaw. Substitute a side salad for coleslaw $1.09. Lightly breaded fillets with choice of potato, coleslaw and tartar sauce. Center-cut boneless pork chops topped with grilled mushrooms, BBQ sauce, Cheddar Jack cheese and scallions. Served with choice of potato and coleslaw. Two grilled tilapia fillets topped with a light lemon butter crumb topping. Served with choice of potato, coleslaw and tartar sauce. 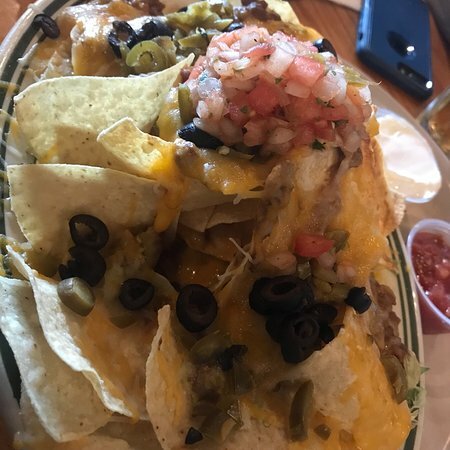 A crisp tortilla packed with hand breaded fish, melted cheese, black beans, pico de gallo, scallions, black olives, jalapeños and our spicy homemade dressing. Served with rice and beans. Rice available after 4:00pm. Hand breaded shrimp and a lightly breaded fish fillet served with choice of potato and coleslaw. Tully's Tenders dipped in house Buffalo sauce. Served with fries, Bleu Cheese and coleslaw. 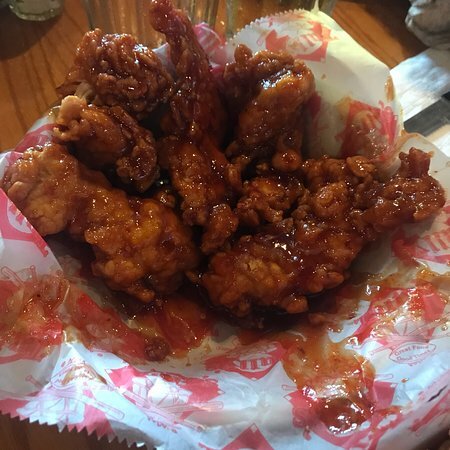 Tully's Tenders dipped in house sweet 'n spicy Asian sauce. Served with fries and coleslaw. Served with warm garlic bread and a side salad. A generous portion of Ziti tossed in homemade marinara sauce with Romano & Mozzarella cheese, then baked. Chicken breast breaded Italian style, topped with marinara sauce, Romano and Mozzarella with a side of fettuccine. Homemade Cheddar cheese sauce tossed with tender chicken, Ziti and broccoli. Topped with a buttery crumb topping. Chicken, sausage, mushrooms, onions, green peppers and broccoli in a spicy Cajun sauce over fettuccine. Served with a pickle spear & choice of fries, loaded potato salad or fat-free pasta salad. Add a side salad $1.39. Lightly breaded fish fillet on grilled rye topped with Swiss cheese, coleslaw and Thousand Island dressing. Roasted zucchini, yellow squash, red peppers, green beans, and portabello mushrooms topped with Pepper Jack cheese and balsamic vinaigrette. Served with lettuce and a side of tartar sauce. Chicken Breast hand battered and lightly fried. Topped with American cheese, lettuce, tomato, bacon and homemade Ranch dressing. Grilled to perfection with diced pickles, lettuce and Cajun mayo. Sliced turkey and ham, grilled. Topped with melted cheese, bacon, lettuce and tomato. Sliced sirloin topped with onions, peppers, mushrooms and melted American cheese. Grilled Chicken breast topped with melted Mozzarella and Romano, pesto sauce, lettuce, tomato and cucumbers. Grilled chicken breast topped with our bruschetta mix, Romano cheese, lettuce, roasted red peppers and melted Mozzarella. Sautéed onions and Swiss cheese on grilled rye bread. 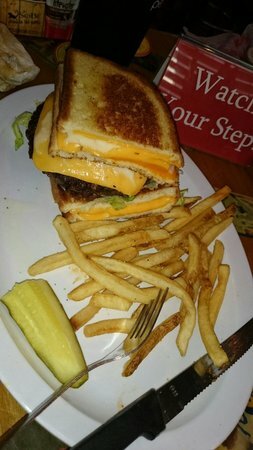 Our huge burger packed between our Ultimate Grilled Cheese with lettuce, tomato and mayo. Tomatoes, celery, crumbly Bleu Cheese, our Buffalo Wing sauce and Bleu Cheese dressing. Cheddar, bacon, BBQ sauce, jalapeños, tomatoes, grilled red onions and spicy mayo. Cheddar, sautéed Mushrooms, bacon and steak sauce. Pepper Jack cheese, jalapeños, spicy mayo, lettuce, tomato and tangy salsa. Tully é um ponto de encontro para os regulares. Bom lugar para tomar uma cerveja e assistir ao jogo. Dedos de frango estão tão bom aqui! 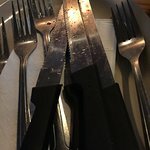 Lugar foi embalado em uma noite de sábado assim pensar que este era o lugar para comer. Prós: dedos de frango foram muito bons. Restante da refeição não tão bom. Nós aqui para obter o dip de caranguejo e bebidas baratas a todo o momento. Também uma área de jogo no bar. Mergulho de caranguejo, mergulho de caranguejo, mergulho de caranguejo. Múltiplas localizações, e eu amo todos eles ... hot spot almoço! 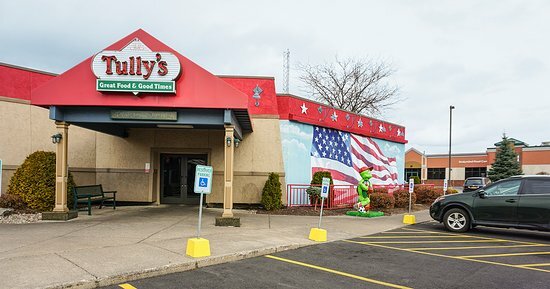 Os funcionários e antigos clientes da empresa respondem rápido a dúvidas sobre Tully's Good Times Erie Blvd.